Learn how to make real, Texas chili! 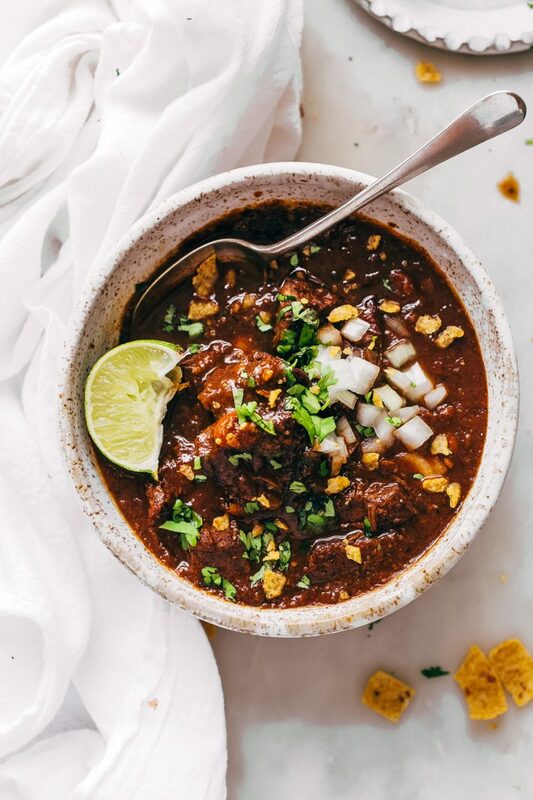 This is a bowl of chili made with chunks of beef and is so hearty and filling! Perfect for fall! And today I’m bringing you a Texas Chili that’s loaded with all the seasonings, onion, and peppers! Texas style chili has the most amazing deep and rich flavor. 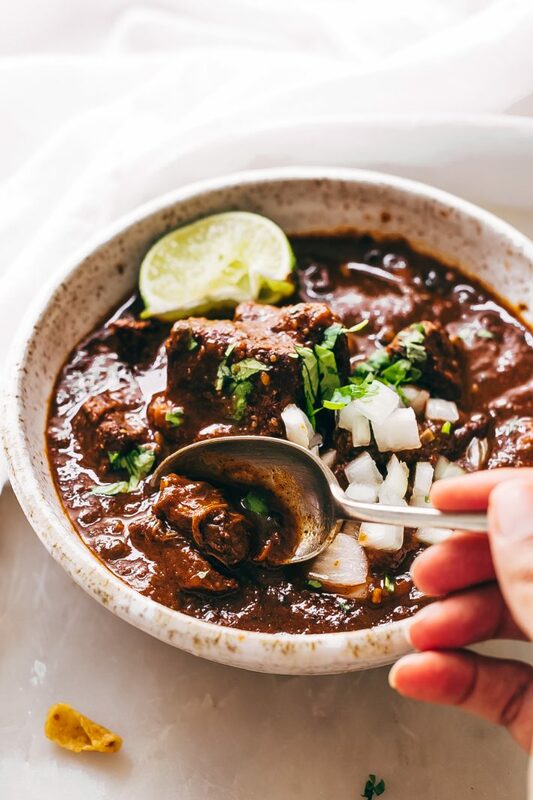 A bowl of this stuff will stick to your ribs and keep you warm on the chilliest nights. September is the month of chili for me. It’s the kind of thing you look forward to at the end of the day when it’s still slightly warm in the afternoons, but that crisp autumn air starts to creep in during the evening time. When you casually reach for a cozy throw because you can feel the nip in the air and you know that fall is right around the corner. The air just smells like fall. September reminds me of brisk morning air, warm days, and breezy evenings. Of course none of that happens in Houston until about November, but still, a girl can wish. 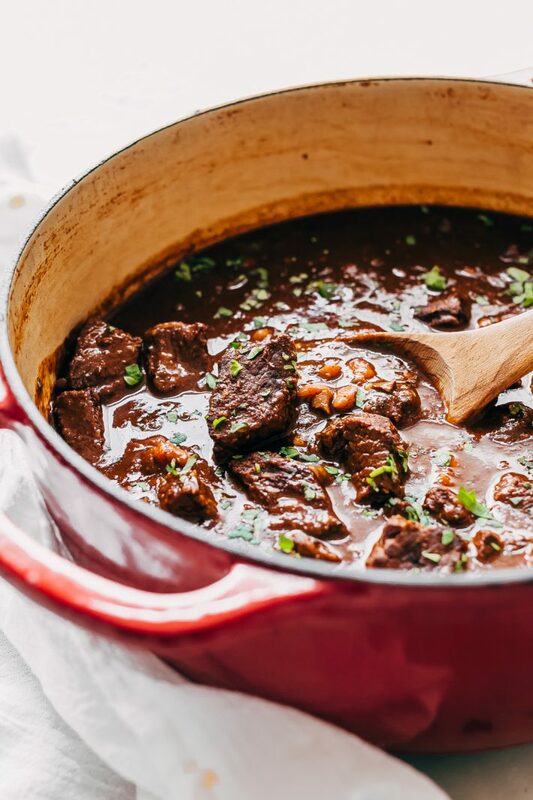 It also happens to football season, and it’s the perfect thing to toss together on Sunday morning and by the afternoon you’ve got a slow simmered Texas Chili that’s just waiting to be topped with all your faves and served straight from the dutch oven. Chili is nothing new around here. I’ve shared an instant pot version , a pumpkin chili , one that comes with a cornbread crust , a chili dip , and a vegetarian butternut squash chili . This goes without saying, but clearly, comfort food is my spirit animal. Most of the recipes I’ve shared in the past start with ground beef, chicken, or turkey. Today’s Texas chili or chili con carne as it’s called down here is made with chunks of beef rather than the ground meat. Does Texas Chili have beans? If you ask a Texan, they’ll tell you it’s a hard NO. 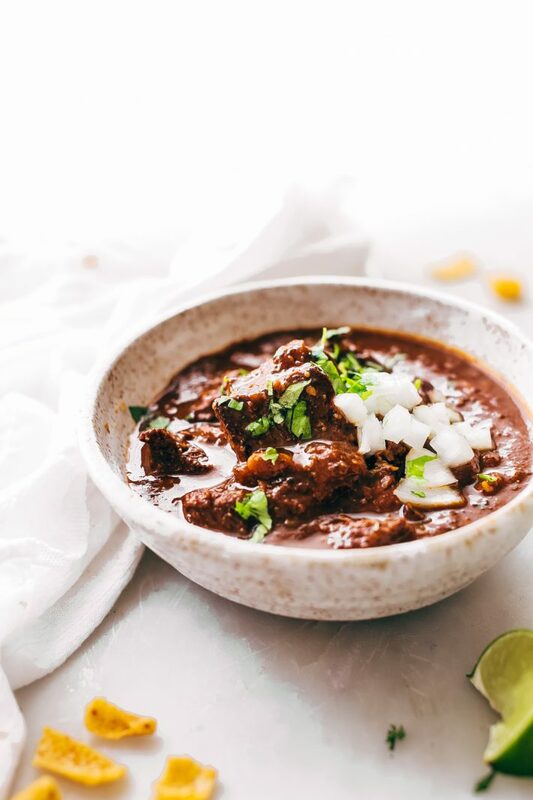 But over the years, I’ve come to find that when I’m making chili, I need a little more than just the meat so totally going against the grain here, but I do make the deliberate choice to add a couple of cans of pinto beans into the mix. I know, I know, am I serious right now? Yes, I need beans in my chili, and I’m not ashamed to say it. Now before I start getting hate mail, let me just say YOU DO NOT HAVE TO DO THIS. I’m just letting you know it’s an option if you’re not on board with a 99% meat-filled chili recipe. For 2 lbs. of meat I’m using one can of beans. To me, that’s still a lot more meat to beans ratio. Most of the time when I’m making chili, I do a 2:1 ratio. That’s two cans of beans to one pound of meat. Texas style chili is thickened two ways: cornmeal or pieces of corn tortilla. I usually opt for option #1 and make a chili paste starter. I can’t remember if I’ve ever made chili with corn tortilla pieces before. I’m a texture person, so that wouldn’t sit right with me. To make the chili paste starter, we’ll mix all the dry ingredients in the recipe like cornmeal, chili powder, ground cumin, smoked paprika and a few others mixed with a bit of water to form a thick paste. This is the stuff that containers the flavor bomb. If you decide to use a chuck roast, just be sure to trim as much of the fat as you can. You don’t need that. The natural marbling is more than enough. If you leave on the extra fat, the chili will end up being really oily at the end and you’ll need to skim most of it off. But know that stew meat can also work here. Just be sure to take your time in selecting the package. If you see nice chunks with a generous amount of fat running through it, it’ll do the job! Be sure to make or have your butcher make even chunks. You want them to be in the 1 – 1 ½ inch range so that all the meat cooks up evenly. Once the paste is ready, I like to take a couple of minutes to sear off the meat. The brown bits that are left behind in the pot are because of a Maillard reaction that occurs when you sear the meat. That’s free flavor that only costs about 5 minutes of your time. After that, it’s basic chili protocol. 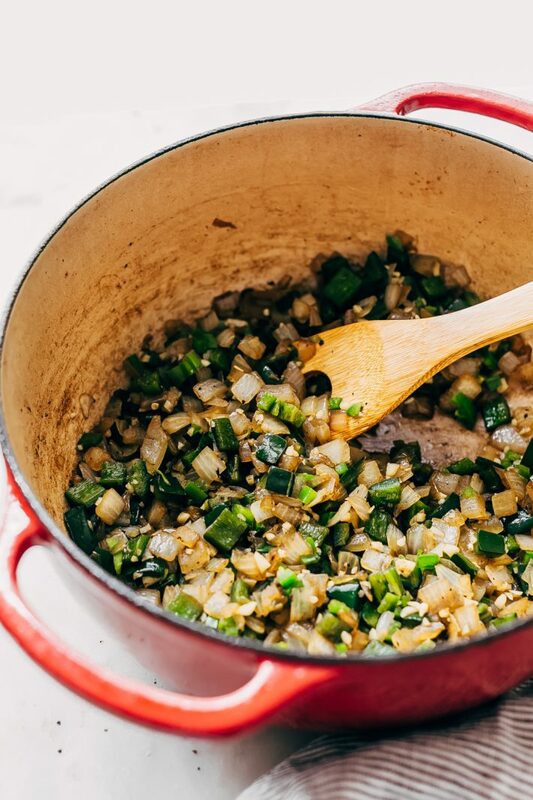 Remove the meat, cook the onions and peppers and scrape down the pot to get all those brown bit flavors then come the garlic and right after that, we’ll add our cooking liquids. Oh, one thing I want to add, most Texas chili recipes call for a bottle of beer, beef broth and some form of tomato. I use all beef broth, a bit of water and tomato sauce. Diced tomatoes aren’t something you commonly find in Texas chili. You want to use passata or low or no sodium tomato sauce. I’ve even used brewed coffee in my chili recipe after I read about it somewhere. I don’t think I’ve ever had chili like that before. It had the most amazingly smoky, rich flavor. Here’s the deal, let this hang out and simmer on low and slow. Trust me; it will be extra rewarding. All you need to do is walk by every ½ hour or so, give it a stir so that the cornmeal doesn’t stick to the bottom of the pot and make sure there’s enough cooking liquid in there for the meat. That’s it! 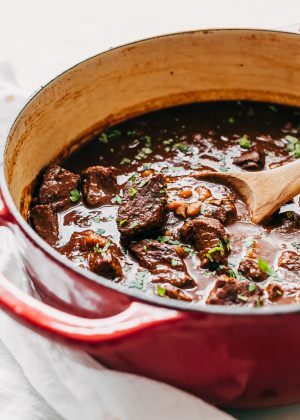 If you generally prefer a thicker chili, just let it simmer for a bit uncovered at the end so that some of that liquid evaporates, that’s about it! I keep this pretty simple. A handful of Fritos, because tortilla chips don’t do it for me, a dollop of sour cream, chopped sweet onions, and a sprinkle of cilantro. Sometimes a hint of lime just to brighten it all up. Okay, I know, it’s not really that simple. But you know what I mean, right? No fancy cornbread, none of that. Just a girl, her bowl, and a few simple toppings. I need to reiterate this. Texas chili demands corn chips. They’re thicker than tortilla chips so they hold up better. Plus, you can make Frito pies with the leftovers! Texas chili freezes incredibly well, so it’s easy to understand why I made such a large batch here! You can halve the recipe if you’re cooking for just a couple people but when you can make a big pot and freeze half for later, why wouldn’t you? Leftover chili can also be shredded up and served over pasta. It’s Texas meets Cincinnati. Can you imagine anything served over pasta tasting bad? We loved it this way. I know it’s way too early to talk about next years Super Bowl menu (or is it? ), but Texas Chili would surely please any chili fan that’s out there! Enjoy guys! This one’s a home run or err… I mean a touchdown, for us! Learn how to make real, Texas chili! 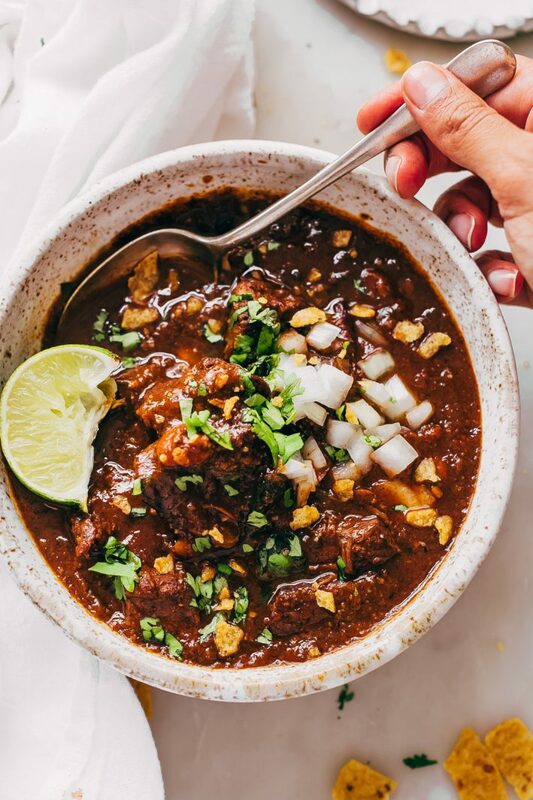 This is a bowl of chili made with chunks of beef and is so hearty and filling! Perfect for fall or super bowl! 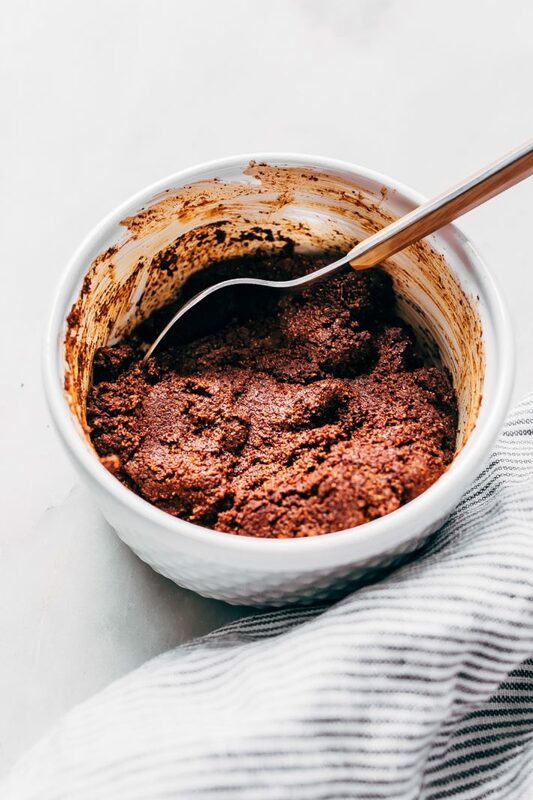 PASTE: Combine the ingredients for the paste in a small bowl and slowly stir in 1/2 cup of hot water. Mix and set this aside for now. SEAR THE MEAT: Season the meat with a generous pinch of salt and pepper. Heat a large chili pot over medium-high heat. Add 1 tablespoon of oil to the pot and add a few pieces of meat at a time. Sear the meat on all sides, about 2-3 minutes and remove it to a plate. Repeat the process until all the meat is seared. You may need a little more oil than what’s listed just depends on how well marbled the meat is. CHILI: If you need it, add another drizzle of oil to the pan along with the chopped onions and the poblanos. 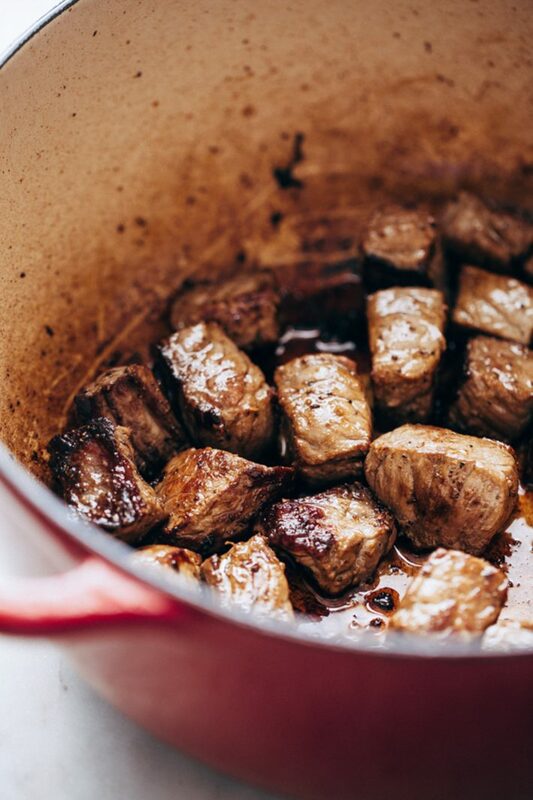 Use a wooden spoon to help scrape any brown bits left behind by the meat and cook for 5 minutes. Then, add the garlic and jalapeños and continue to cook for another 1-2 minutes or until fragrant. Add the prepared chili paste to the pot and stir it in so that it coats everything nicely. Allow the paste to cook for 1 minute before adding the brown sugar, Worcestershire, beef broth, tomato sauce, 1 cup water and ½ teaspoon salt. Use the wooden spoon to scrape the bottom so that none of the chili paste is sticking. COOK: Add the seared meat and allow the chili to come to a boil before lowering the heat to low and allowing it to cook for 2 ½ – 3 ½ hours. Set aside 1 cup of water and add in a ¼ cup every time you stir the chili if it’s thickened. Stir the chili every 30-45 minutes to make sure it’s not sticking. You may not need all of the water if you’re going bean-free, with beans you generally need a little more. I like to add the beans around the 2-hour mark so that they have a chance to cook for at least half an hour before serving. Serve topped with all your favorite chili toppings! You can also replace some of the water/beef broth with a bottle of beer or brewed coffee. It just comes down to preference.